UltraBlend panels are a premium-quality, mat-formed, multi-layer wood particle panel, made of predominantly, precision refined particles bonded with urea resins. Roseburg offers its UltraBlend panels with a high-quality smooth surface, tight machinable edges and excellent dimensional stability. 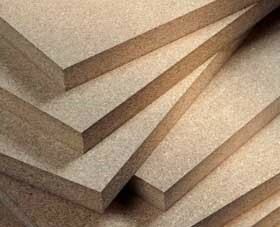 UltraBlend particleboard panels offer controlled performance and precise physical properties for industrial applications. Featuring refined surface finishes with various core components, UltraBend particleboard panels are designed for laminating as well as demanding edge applications and machining requirements.